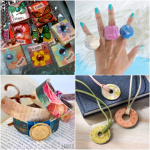 You can make your own necklace with a dollar store seed packet and some other craft store supplies! 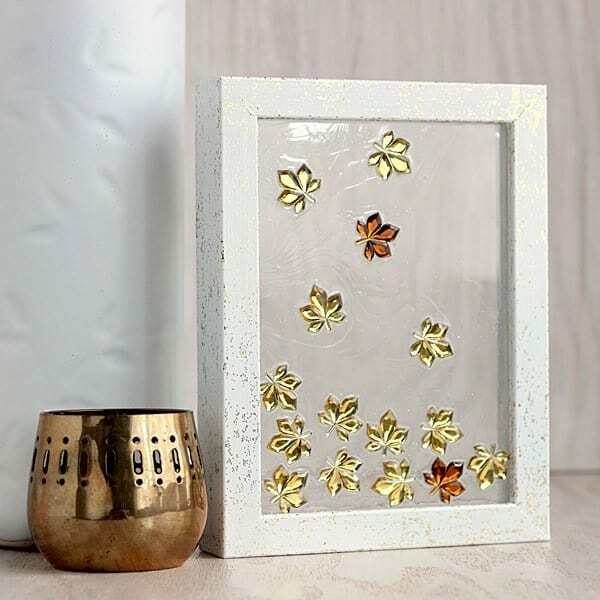 This is such an easy jewelry project. Spring is right around the corner my friends! I can't believe how nice the weather is here in Atlanta. It's downright wonderful. But I have a feeling that is only going to last for so long and then it's going to be hot potato around here. But I can enjoy the spring while it lasts! 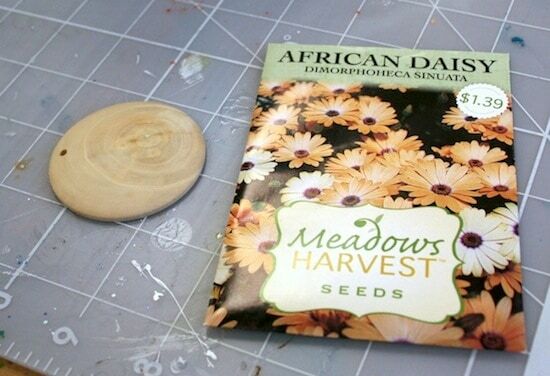 I was recently at the dollar store and picked up some seeds to try my hand at spring gardening. I don't know how it's going to work but hey, it's only $1-ish per packet! So no harm done if it doesn't happen for me. And because I like to save anything pretty, I kept the front of the seed packet and then turned one into a DIY necklace. 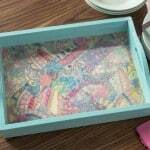 When I say this is the easiest craft ever, I mean it! 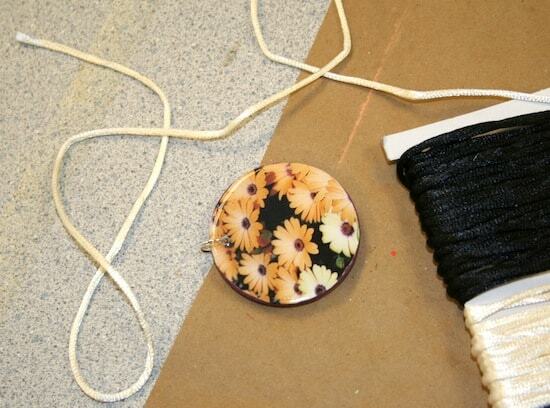 If you want to learn to make your own necklace, this tutorial is for you. 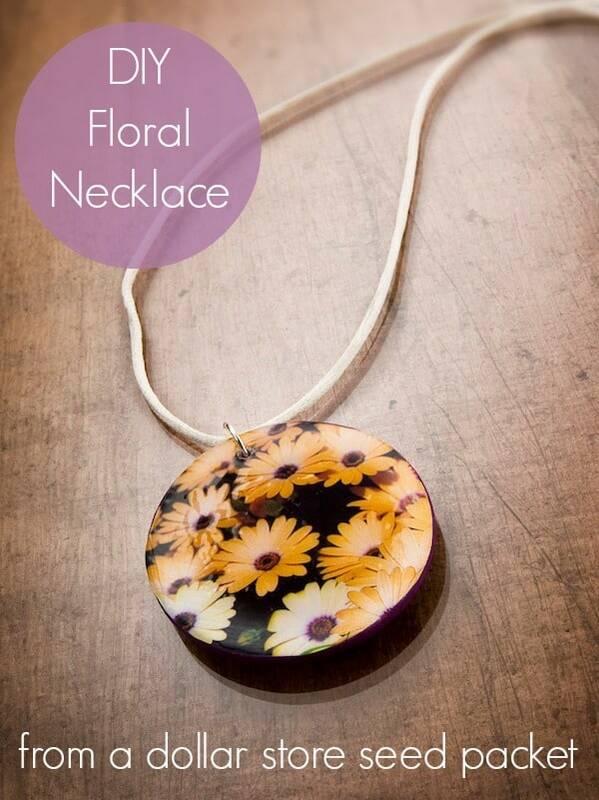 Grab an empty seed packet and wood pendant. Aren't my flowers pretty? Well, they aren't flowers yet, but they will be! 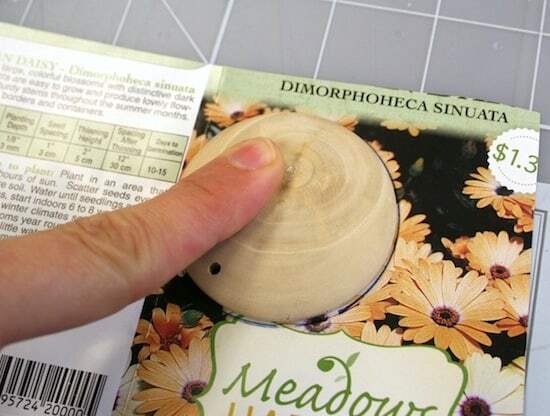 Trace your wood pendant on your seed packet with a pencil or pen. Cut the seed packet just inside the line and set aside. 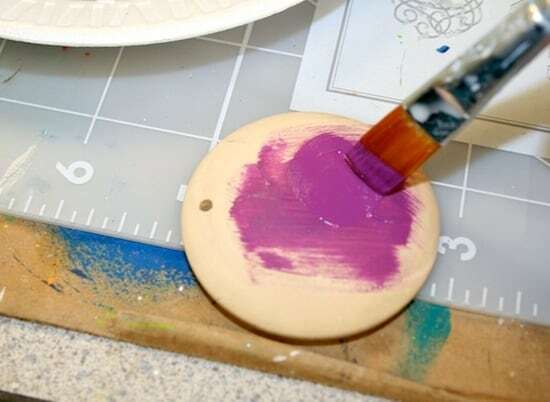 Paint the back of your pendant with the color of your choice. I didn't paint the front because the seed packet image is going to be covering it, but you can paint a little on the edges just in case. 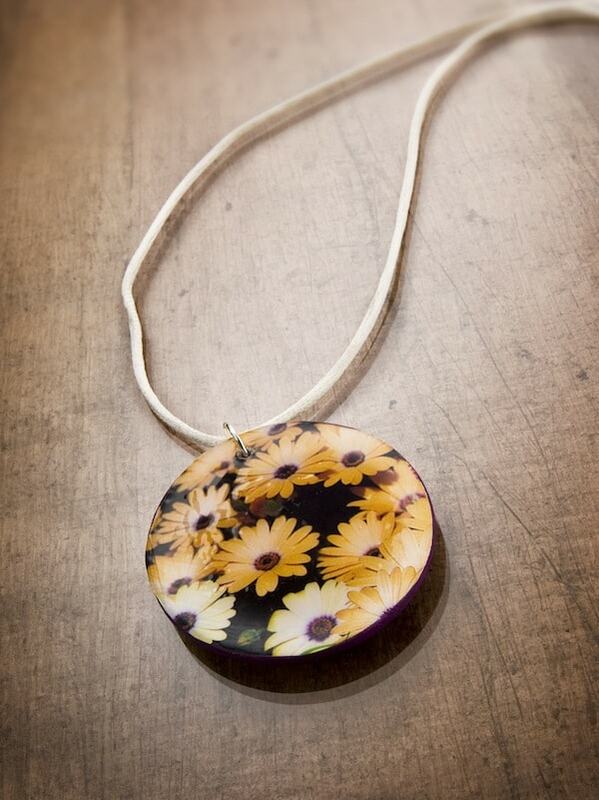 Paint a medium layer of Mod Podge on the front of the pendant and smooth the seed packet cutout to the front. 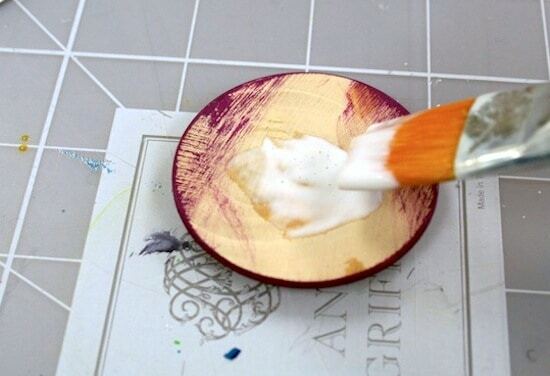 Let dry for 15 – 20 minutes, then coat the entire pendant in Mod Podge and let dry. 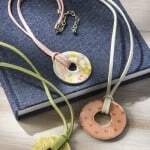 Make sure to punch the hole out for the jump ring/necklace cord with a pencil. 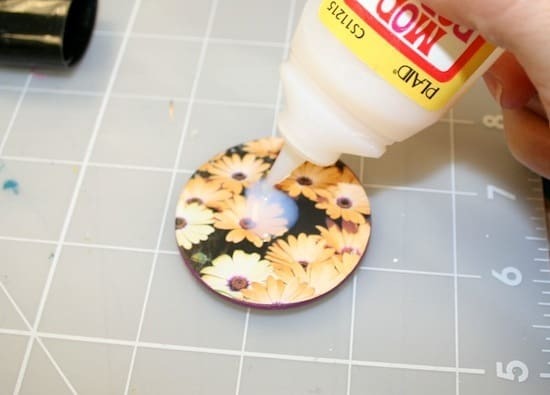 After the Mod Podge is dry, add Dimensional Magic to the top of the pendant and let dry overnight. To finish, add a jump ring to the pendant and then satin cord. You can add a regular necklace chain as well, but I thought the satin cord would be fun. Just make sure to cut a long enough length so that it can slip over your head! Do you love my necklace? You can make your own necklace too for just a few bucks – and they make great gifts. And I'm always in the market for new gift ideas, how about you? It’s hard to believe your necklace is a seed packet. Nice! 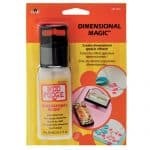 Beautiful, I just used Dimensional Magic as well on some scrabble tiles for necklaces. Hello. I was wondering where you purchase the wooden pendants? Thanks! Here’s a good video to describe it! 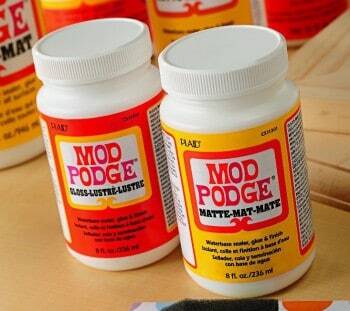 It’s an epoxy like finish – puts a glass-y coating over the top. You can’t glue down with it, but it finishes things beautifully. Love it so much!!! I will have to make some of these. I will make extra for Christmas!!! !